[Episcopal Diocese of West Texas] As Kathy Bogie started to ponder how she could best serve God in her retirement, Bishop David Reed, then bishop suffragan of the Diocese of West Texas, announced that an engaging speaker who works with women was coming to Diocesan Council 2014. “I knew I would be going to council, and I was hoping I would get something – some inspiration – while I was there,” said Bogie. What she received was the personal story of the Rev. Becca Stevens and her founding of the Magdalene program in Nashville, Tennessee, which serves women survivors of trafficking, prostitution and addiction, and empowers and employs them with the social enterprise, Thistle Farms. “That’s it,” said Bogie in 2014 with her heart full of service and tears in her eyes. 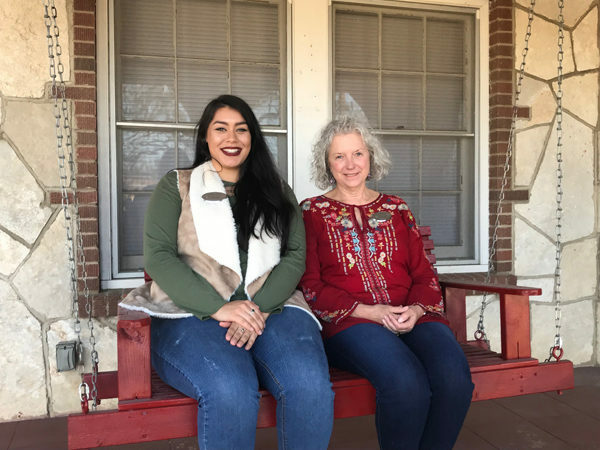 Almost four years later, Magdalene House Kerrville, in Kerrville, Texas, a sister organization of Stevens’ original program, opened in December 2017 and welcomed its first resident on Dec. 28. “Magdalene House Kerrville is evidence-based and community-informed,” said Bogie. In her work as a nurse practitioner, Bogie saw several women that would come in for a very quick women’s medical exam and to be tested for sexually transmitted infections. “They were homeless women who had been employed as housekeepers for a low-end motel at the time. The motel manager gave them a place to live and expected them to prostitute. If they didn’t follow his demands, according to the women, he would hurt them,” said Bogie. With an established board of directors for Magdalene House Kerrville, Bogie studied the literature, conducted research throughout the city and developed the two-year program. 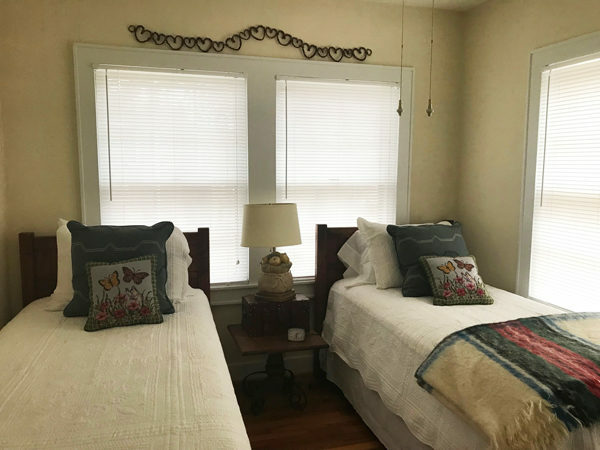 Magdalene House Kerrville is to serve as a two-year residential post-incarceration aftercare program for women who have been victimized by human trafficking, prostitution, addiction and/or abuse. The program is based on the concept of caring, and the first priority is incorporating scripture and Jesus’ command to “take care of my sheep” (John 21). In her research, 100 percent of the women she studied had experienced trauma by age 6. “So they never developed in a trusting, healthy way; some couldn’t even remember their trauma because it was so severe,” Bogie said. The Magdalene House Kerrville Healthy and Whole Model of Care incorporates wellness by attending to the resident’s medical needs after acceptance into the program; followed by health education; trauma-specific care through an evidence-based psycho-educational program; healing through the arts – finding one’s voice again; peer support; and education and employment training. The Magdalene Pathway begins with “Welcome to the Circle,” which lasts three to six months. Every morning, Carolyn sits with Bogie and Ciara Lillie, site manager, at the kitchen table and they pray and reflect together, read scripture from the Live Recovery Bible, and work through “Shadows of the Neanderthal,” a book meant to change mental models. During the day, Carolyn may enjoy a walk through a local park with the home’s therapy dog, Kodak, a 90-pound American bulldog with a heart full of love and a paw always ready to shake. She has also enjoyed outings with Bogie to pick up their orders from the San Antonio Food Bank. The pathway at Magdalene House Kerrville continues with Blossoming Wisdom (6-12 months); Flourishing Independence (12-18 months); The Unbroken Circle (18-24 months); and Sisterhood for Life. While in the two-year program, residents are not allowed to have visitors until they have completed Blossoming Wisdom. This is to protect the residents and give Bogie and Lillie time to learn who each resident’s “safe” people are, such as Carolyn’s mother, with whom she shares a brief phone call every evening. Bogie has secured partnerships across the community of Kerrville for Magdalene House, including with the Christian Women’s Job Corps, which provides employment training and job security. The organization has also partnered with free health clinics and denominational thrift stores. Numerous church relationships supply endless donations and in-kind gifts. “If we didn’t have these partnerships and had to pay for all of their services, we wouldn’t be open today,” said Bogie. As a parishioner of St. Peter’s, Kerrville, Bogie set Magdalene House into motion with the church’s support and resources. Various parishioners serve on the home’s board of directors, and for three years, Bogie had her office at St. Peter’s. Board meetings and fundraisers are held at the church, and the St. Peter’s Episcopal Church Women has given generous monetary donations to the home. The church also gives to the home as part of its outreach ministry. The Rev. Bert Baetz, rector of St. Peter’s, blessed and dedicated the home on Jan. 13. “It is so important for us to maintain connections and continue to hope they will increase,” said Bogie. She was delighted to receive in-kind donations from the Diocese of West Texas and the diocesan Commission for Women’s Ministry. The application process for Magdalene House Kerrville is quite simple. An incarcerated or post-incarceration woman must submit the written application and be available for a personal interview. The acceptance review committee then makes the final decision. Two applicants are scheduled to start in March. Bogie said she receives two applicants per week, and so the discussion on how to expand in the future is underway. Many inquiry calls are taken each day; some women are just seeking shelter, so Bogie directs them to other services in town, all based on relationships she has formed in the community. 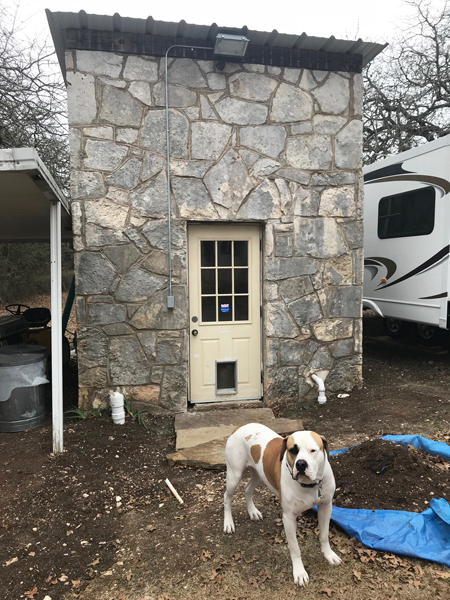 Lillie, the site manager, lives on the Magdalene House property full-time in a mobile home that was purchased with a grant from the Sisterhood for Good in Kerrville. The Magdalene House home is 80 years old, quaint and simple in décor and welcoming. Bogie’s husband, Art, handcrafted a wooden front door, and he is digging up original stone pavers that lead from the house to the laundry facility. “He has done so much and continues to do so much. I could not do this work without the support from Art,” said Bogie. Lillie began full-time at Magdalene House Kerrville after she served as an intern for the nonprofit in 2017. “I wanted to be somewhere where people loved me for loving,” she said. And with Kodak by her side, that is exactly what she gets to do. Ideas are in place for a pet washing micro-business for the women to maintain and promote while staying at Magdalene House Kerrville. The board hopes to initiate the business one year after opening. “I am just so blessed by all the enthusiasm and support,” said Bogie. – Laura Shaver is the communications officer for the Diocese of West Texas.